Our master bedroom was ready for a little update. Nothing earth shattering, but it needed a little update. This was achieved easily and for very little money. Yes, I’m using mostly what I already had. FAB is actually a product that I used on my fabric chair to paint it 🙂 It was created by Heirloom Traditions paint, and helps the paint adhere and not crack on the fabric. Heirloom Traditions paint is a chalk type paint, and it will adhere to practically anything. And I’ve already shared how to paint on fabric using Heirloom Traditions paint. I noticed on a few pieces on some of the fabric the paint started cracking. Personally I didn’t mind some of the cracking on the pieces that I painted, because I embrace imperfections. But we don’t always want that to happen, especially on a chair that will be sat on. 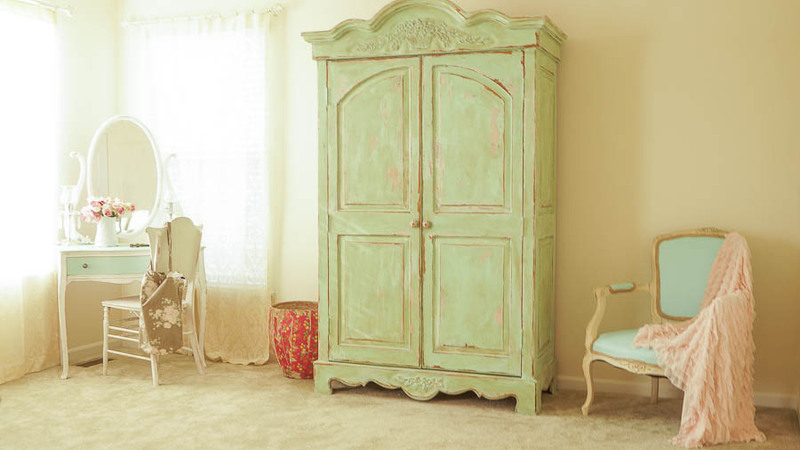 I was thrilled when I heard that Heirloom Traditions paint came out with this amazing new product called…. FAB. First make sure you are working with a clean surface. 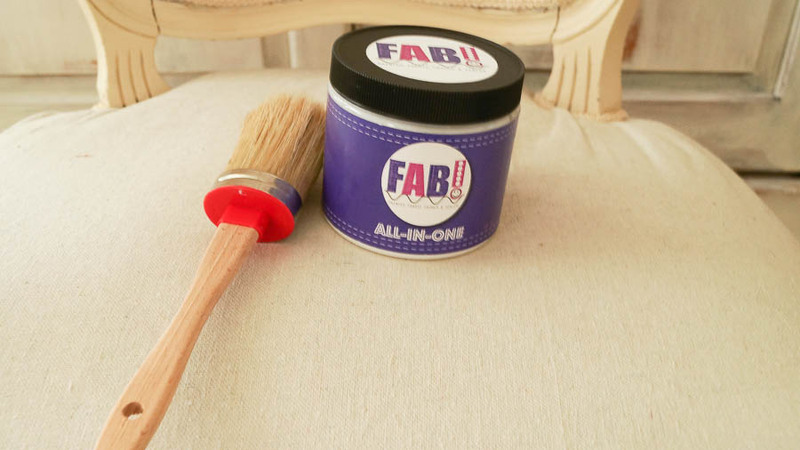 Once it’s cleaned apply a coat of FAB to your piece. After you apply a coat on your piece FAB, let it fully dry. 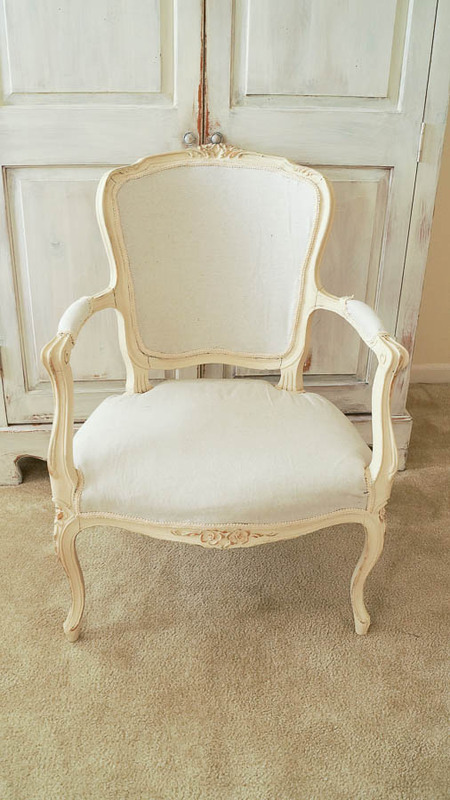 As you can see I painted my French chair, I’ve been wanting to change this for awhile, but I really didn’t want to reupholster it. It’s not an easy job I assure you. One mistake I made on this project was that I left the trim on as I painted it. I was trying to carefully paint around it. In the end I pulled all of the old trim off and added a new one. 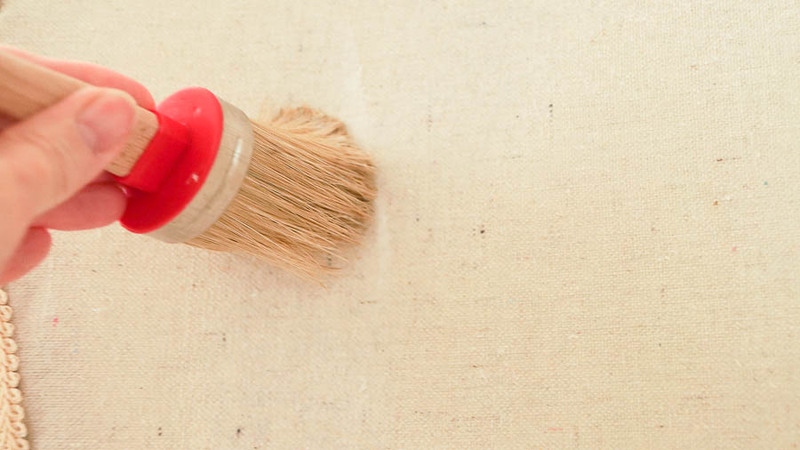 Using FAB is a great alternative to painting on fabric, and no more paint cracking. 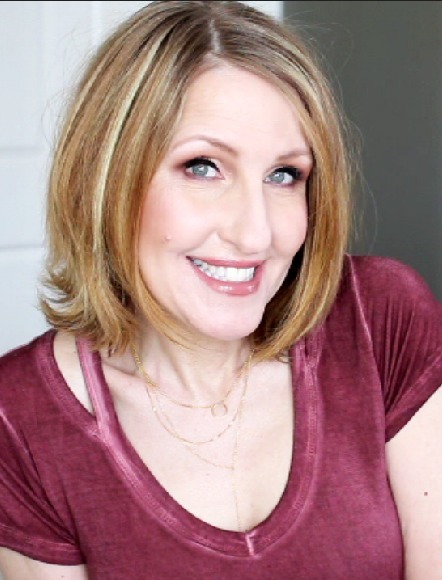 Okay are you ready for the Fab shabby chic master bedroom makeover ? Let me show you my room before. These photos were taken last year, and a few photos were taken several years ago. Yes, I have changed this room quite a few times. 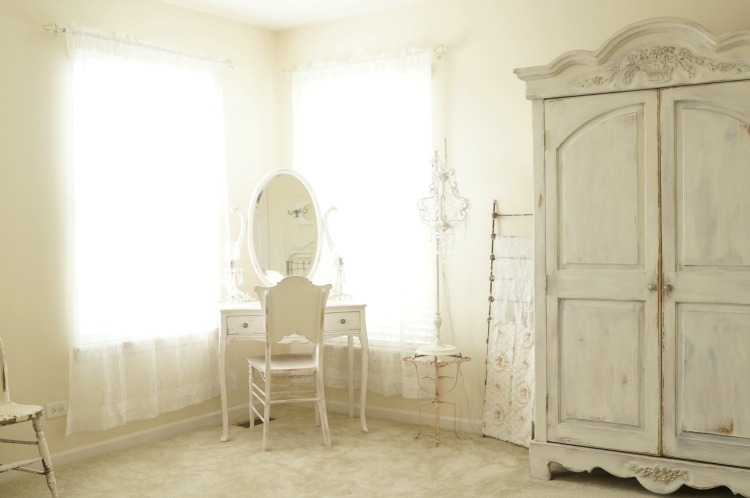 Ta-da, here’s the Fab shabby chic master bedroom makeover ! As you can see I’ve added some color into this room. I’ve also taken a few pieces of furniture out of my room, and cleared things off of the walls. I didn’t repaint my room, but I did touch up my walls, and added a stencil to the wall behind my bed. The stencil is from Cutting Edge Stencils, you can read about that transformation HERE. 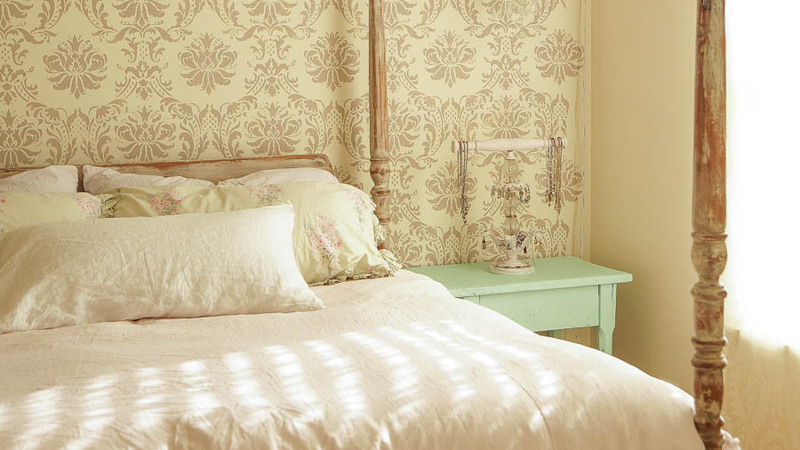 The bedspread is from Ticking and Toile, you can find her shop on Etsy. On top of my bedspread I added my petticoat duvet from Rachel Ashwell, since I’m cheap I didn’t pay full price for the duvet, I found my duvet on Ebay. Honestly, I think my favorite transformation of my room is my armoire. Layering it with a few different greens, distressing it, and adding patina was just what it needed. You can read more on how I got this look HERE. My vanity got a new look as well. 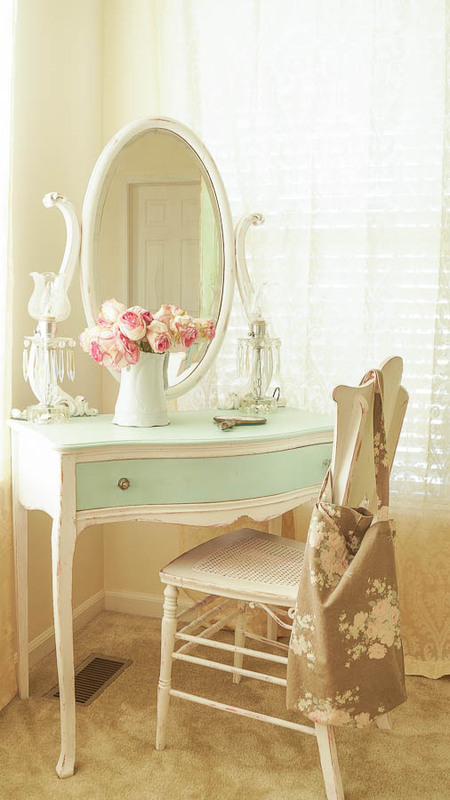 I decided to carry that same color that I used on my chair to my vanity table, but I only used it on the top and front of my table. 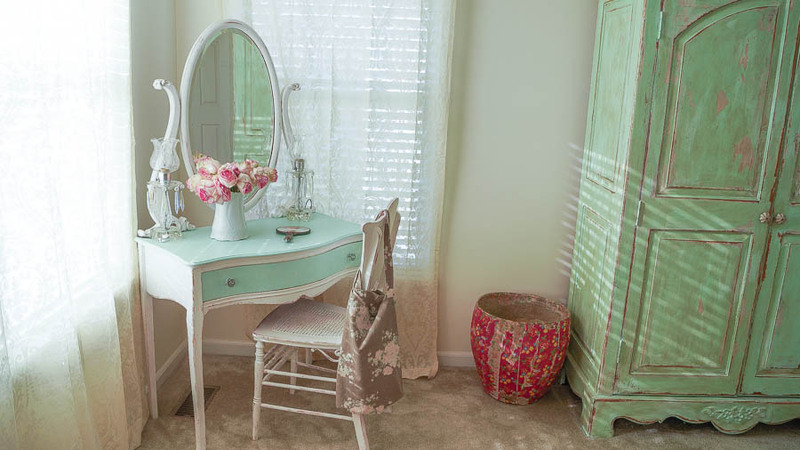 This really is a perfect spot for my vanity table, as you can see I get plenty of natural light. Perfect for putting on makeup and fixing my hair. That paper mache basket in the corner is from Rachel Ashwell, I found that particular one on ebay. I really love not having stuff all over my walls, or collections everywhere, It’s much easier on the eyes and I feel like my furniture is center stage too! Oh, I made one little change to my bed, I was going to paint it a new color, but after I started painting it, well, I felt it was too dark. I started painting it Mocha, it’s the color of a chocolate bar. Actually the same color I used on my wall stencil, but instead of adding white I used it as it was. 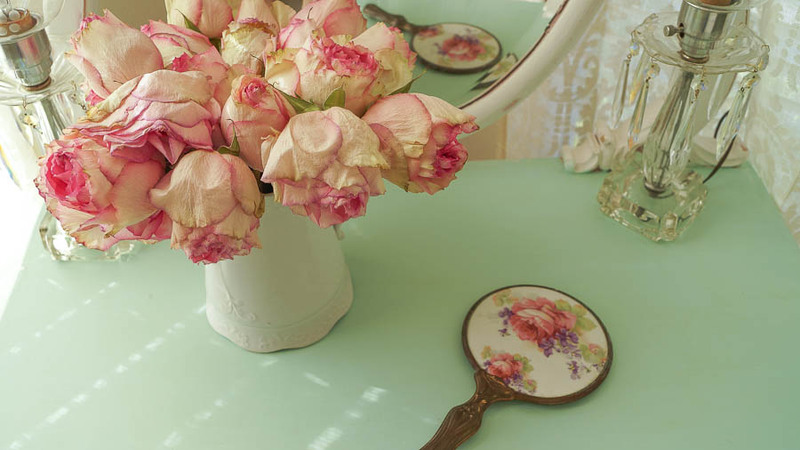 It’s a beautiful color, but was a little too much for my bed, and this room. I stopped painting, took my vinegar and water solution, sprayed it on the bed, wiped it off, and got an amazing patina! Once I saw this, I decided to keep painting. Then when the paint was dry, I used my vinegar and water technique on the whole bed, I really love the results! See, there aren’t any mistakes, sometimes you just have to go with it. This bag, and my green pillows on my bed were inspiration for my room. 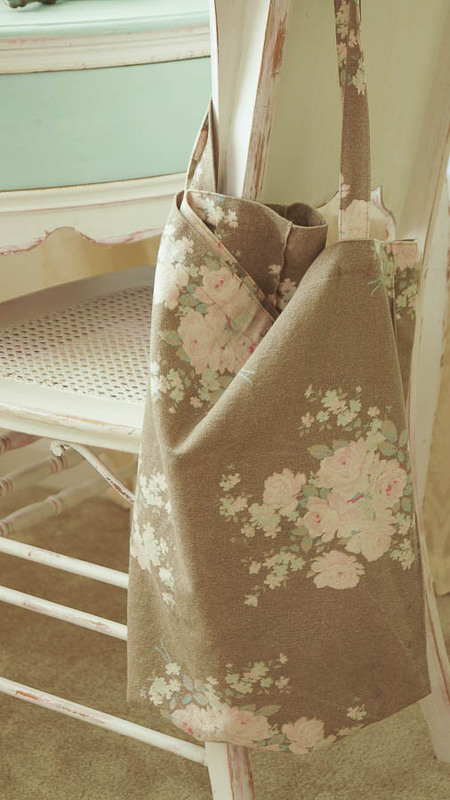 This is a tote bag from Rachel Ashwell’s line, I love the soft pinks, and greens along with the mocha brown. I love the simplicity of my room, and I feel like it’s looking more shabby chic, a simpler look, a cleaner look, a refined look. 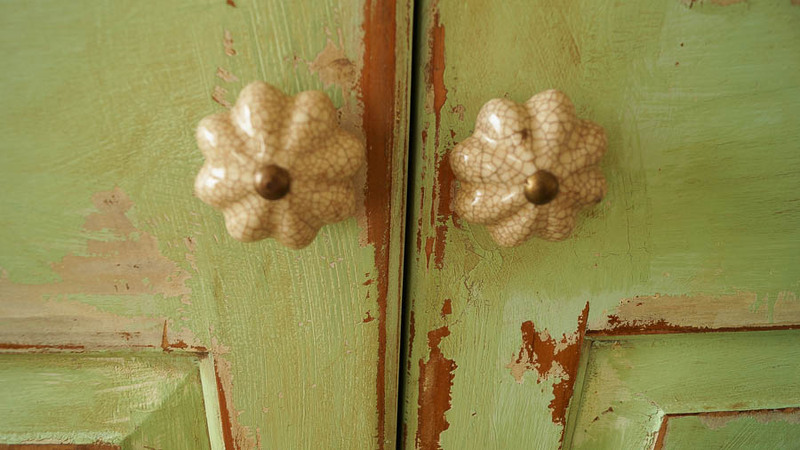 I love the vintage look and the crackled patina, I’m going to have a hard time parting with this armoire. We’ll see when the time comes if it will be moving with us or staying behind. 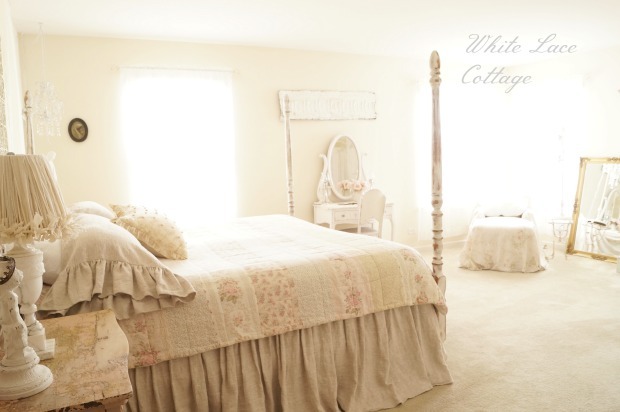 Here Are A Few Tips For Updating A Bedroom. Add a few new pieces to a room, but try to shop your house so you’re not spending money. Paint pieces you have, for a quick update. 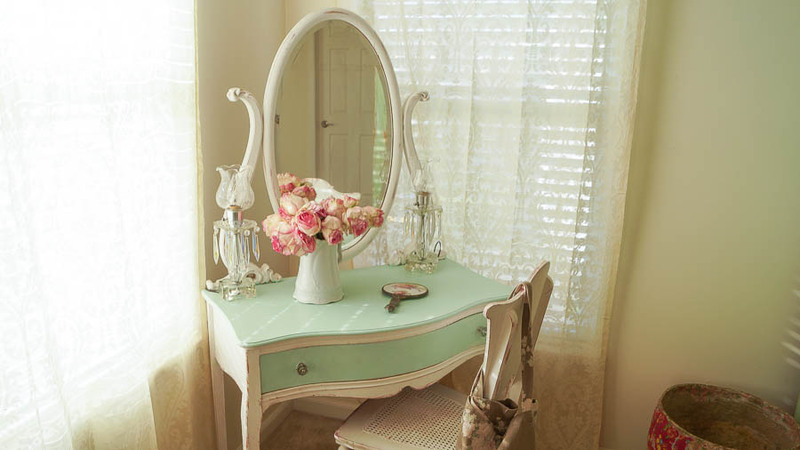 It’s easy to refresh a room with a little paint and a little creativity. Make sure you use the code WHITELACE in checkout! Paints available at Heirloom Traditions- click on the links to purchase. It all looks beautiful. I loved it before very much but the after is even prettier. 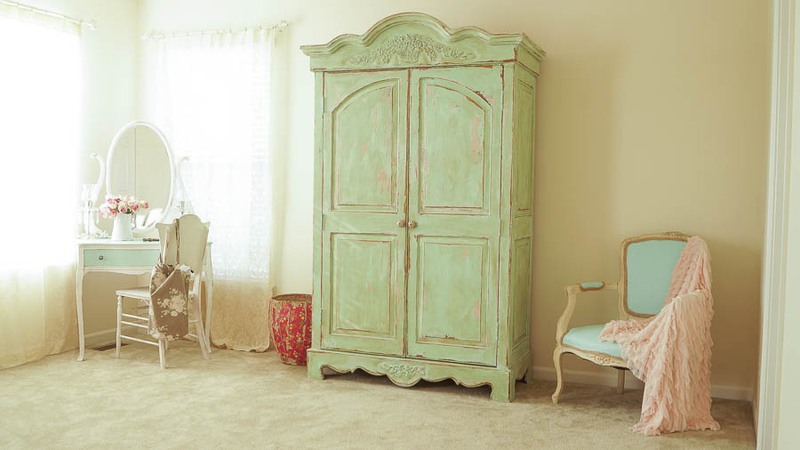 Love the green you added to your pretty furniture pieces. Great job. Love!!! Wonderful colors your bedroom is a great place to relax and sleep, So soft and woonderful,you did an excellent job. Thanks so much Laurie! Yes Shellagh did a beautiful job. I like the fact that she will do a custom piece too! Your room is beautiful and that chair came out great!! Sigh… I am looking at your bed longingly! We had one… JUST like it. But alas, a family fun Sunday afternoon , a wrestling match between our eldest and his dad resulted in lots of laughter, and a broken bed. We were just talking about that today. My favorite part of the new look is the stenciled feature wall…fabulous! One day I’ll have to try your paints! Been thinking about painting fabric so I will have to check this out. The pops of color you added to your room really look great together. Its such a pretty space! Feel a little dense here, but maybe we call linens by different names in the South lol! 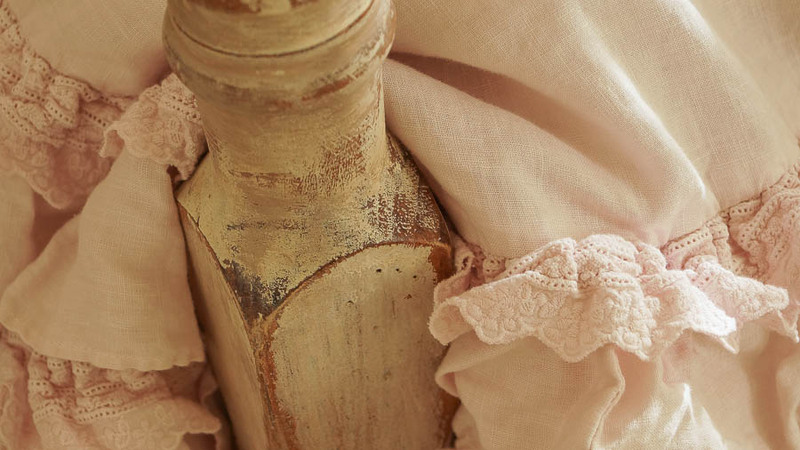 The part that hangs below the ruffled pink (duvet cover) I would call a dust ruffle- the brown that lightly touches the floor. Is that attached to the bedspread or a separate piece? If separate, can you tell me what it is made of and where you got it? Exactly what I have been looking for for my bed. And the rest of the room is beautiful! So restful and calm! Where did you get your Vanity?!?! I absolutely love it and I’ve been looking for one exactly like it!